What's a 'gray rhino' and why did it cause Chinese stocks to drop? 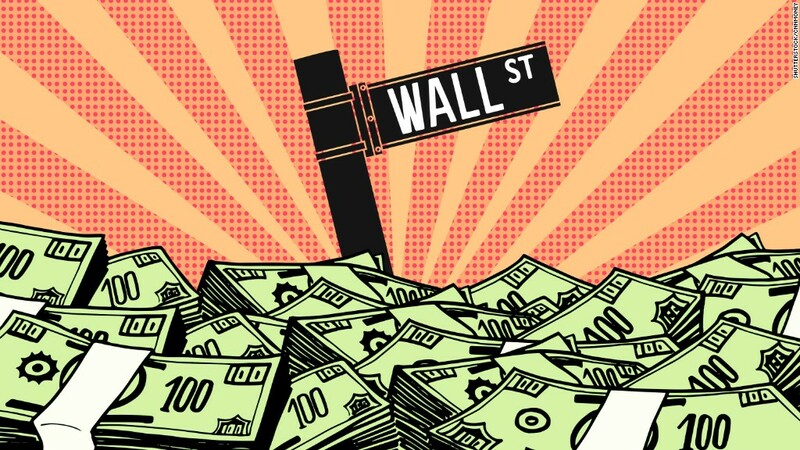 Is this the new normal for Wall Street? Many investors lose sleep over "black swans" -- hard-to-predict events that cause chaos, like terror attacks or the bursting of the dot-com bubble. Now authorities in China are being urged to watch for "gray rhinos" -- obvious dangers that are often ignored anyway. The People's Daily, a closely watched Community Party newspaper, warned in a front-page article on Monday that regulators "need to enhance the sense of urgency" to "prevent and resolve financial risks." "Both against the 'black swan,' but also against 'gray rhinoceros,' all kinds of risk signs cannot be taken lightly," the paper said. Don't feel bad if you've never heard of a "gray rhino." The term wasn't used much before a 2016 book by Michele Wucker titled "The Gray Rhino: How to Recognize and Act on the Obvious Dangers We Ignore." It uses examples of threats that were highly probable but neglected, such as Hurricane Katrina and the fall of the Soviet Union. In China, the focus appears to be on market bubbles. The newspaper said authorities need to "closely guard against" the risk from various excesses, including in the credit, real estate and stock markets. Investors fear that the newspaper's warning, combined with recent speeches from China's leaders, signals a coming crackdown on risky assets like tiny stocks, many of which are purchased using debt. China's small-cap Shenzhen index plunged 4.3% on Monday. The ChiNext, which focuses on high-tech companies, plummeted 5.1% and closed at its lowest point since early 2015. Michael Block, chief market strategist at Rhino Trading Partners (no relation), said the concern is that regulators will aggressively clamp down on the use of debt and leverage in trading. "This is bad news for small cap companies," Block wrote in a report. Wall Street displayed little concern on Monday for the stock slide in China overnight. The Dow and S&P 500 were both near all-time highs. CNNMoney's Fear & Greed index of market sentiment is also sitting comfortably in "greed" territory. Still, many investors recall the crash in Chinese stocks in 2015, which rippled across the globe, including onto Wall Street. Worries about China were at the heart of a selloff on August 24, 2015, that sent the Dow briefly nosediving 1,000 points. "When there are tremors in one part of the global markets, others tend to follow," Block said. China's leaders signaled a tougher stance on bubbles in closed speeches at last week's National Financial Work Conference. State media coverage of the speeches by President Xi Jinping and Premier Li Keqiang. suggests that the "tighter regulatory oversight of credit in recent months will continue indefinitely," according to a report by Julian Evans-Pritchard, China economist at Capital Economics. Of course, this attention is a good thing in the long run because bubbles can become financial disasters when they're allowed to grow too big. Look no further than the mid-2000s housing bubble, which turned into the 2008 meltdown. But China's economy has stabilized in recent quarters thanks to stimulus programs from the government that involved debt. China's economic growth during the second quarter came in at 6.9%, a tick above last year. The talk out of Beijing signals that the Chinese economy may not be able to depend on as much help from the government in the future.